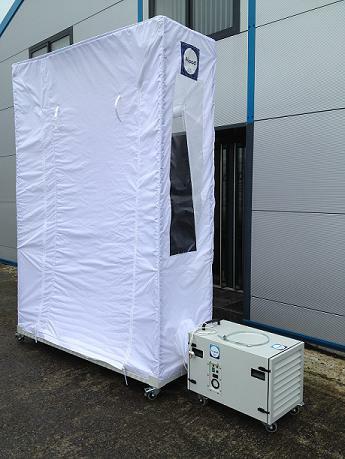 Alupod is designed to provide mobile dust and debris containment during maintenance in controlled environments such as hospitals, cleanrooms and laboratories. It offers huge cost savings compared to traditional dust control methods such as plastic sheeting or hardboard arrangements. Alupod reduces the risks associated with the spread of dust related infections by employing a negative air machine with a medical grade HEPA filter to clean the work environment while maintenance is being carried out. Reduction in costs associated with working outside normal working hours.